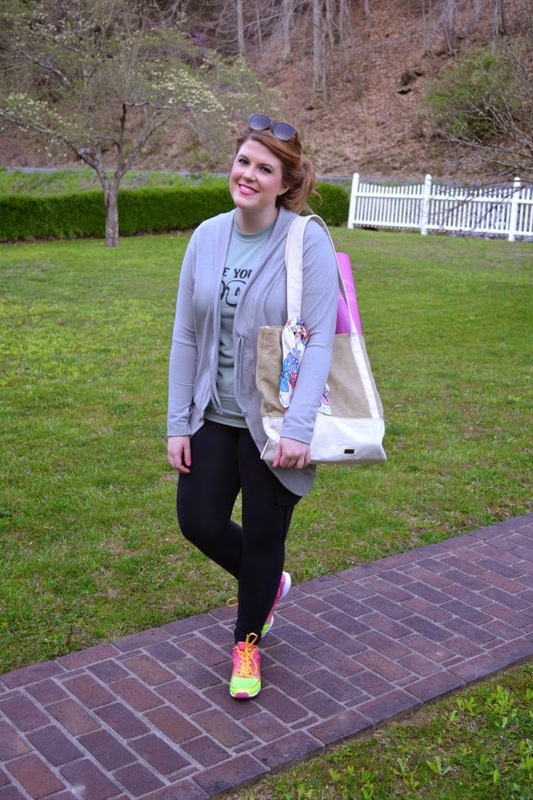 I'm back today for the second feature in my Zumba Apparel collaboration! 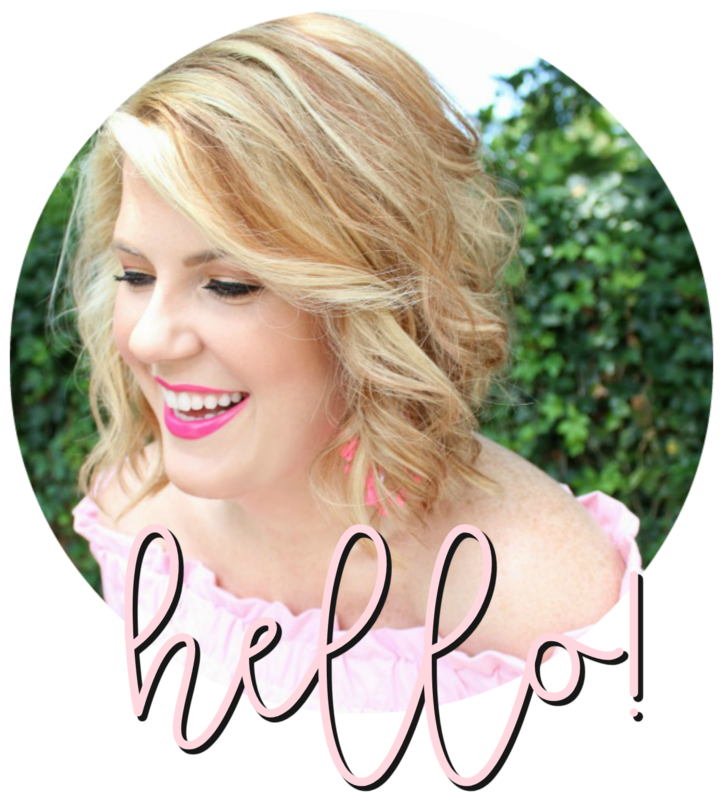 As I mentioned in my first post, I'm really excited to be collaborating with this awesome company and bringing you content that you aren't used to seeing on my blog. 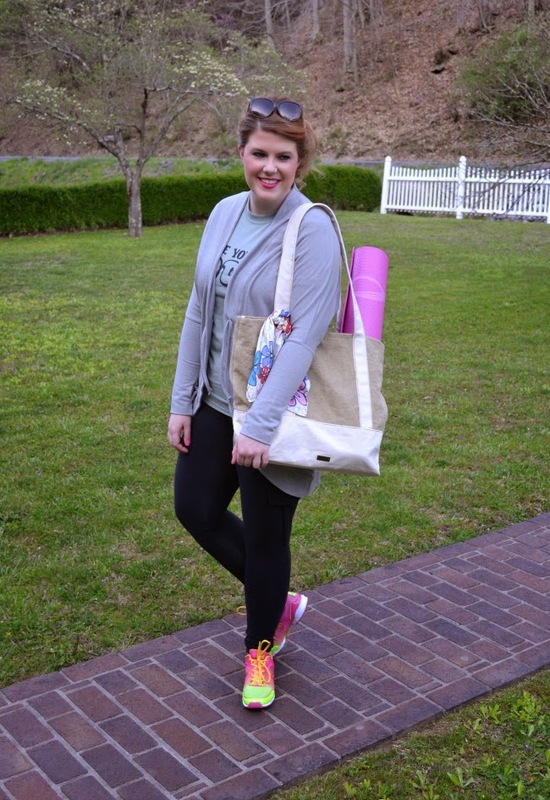 In the almost five years that I've been blogging, workout wear and staying active hasn't been featured - even though I try to make it part of my life. 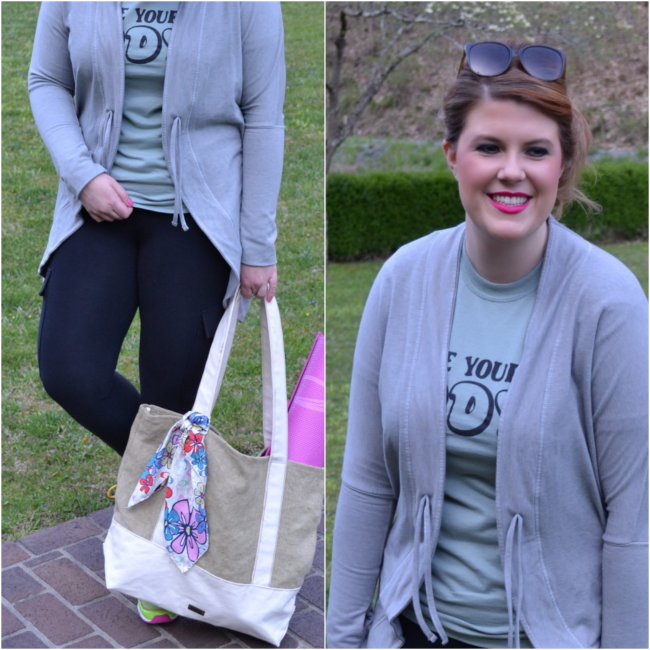 Now I get to combine the two and hopefully inspire you to stay stylish while being fit! Another reason that I was so excited about this partnership is the versatility of the Zumba apparel pieces. While they are created for working out, the looks are perfect for running around town, meeting up with girlfriends, and any other activities you can dream up. As a generation of on-the-go women, we're constantly looking for things (clothes, technology, accessories, etc.) 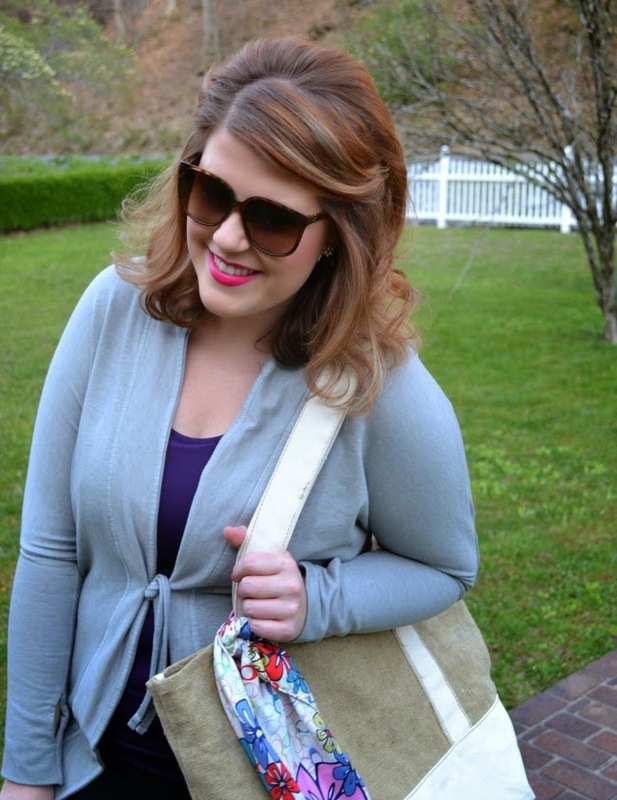 that can do double duty - I love the way these items mix and match with things I already own. Browse the entire collection here and read my review of each piece below! I had no idea when I was first contacted about this collaboration that I was literally going to be dressed from head to toe in Zumba apparel! 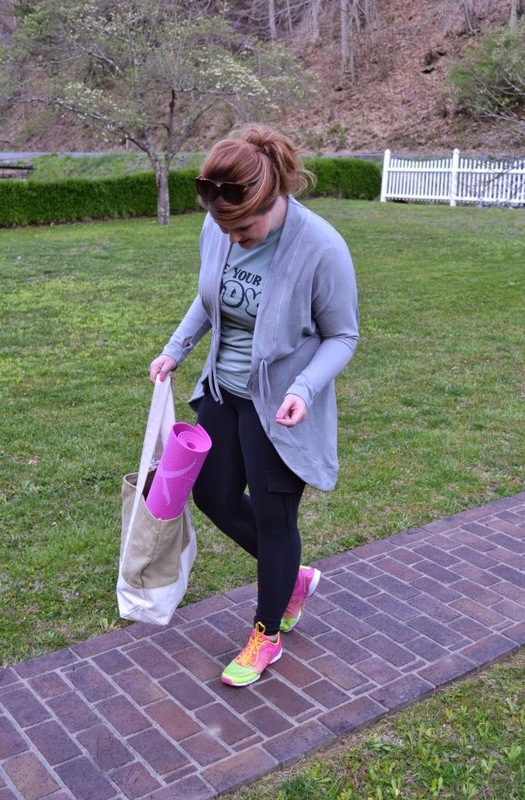 These sneakers are awesome for low impact activities - walking the dog, dancing (dancing is what they're really made for), etc. They have incredible arch support (made with Z-ARCH technology designed to maximize support for greater flexibility) and they're very light on your feet. Super comfortable and perfectly neon! 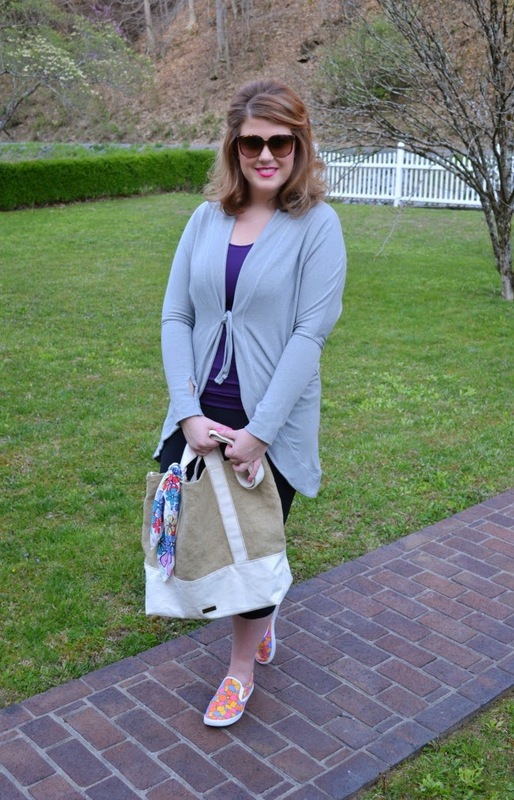 You can see the purple tank styled under the cardigan in the photos above. This piece was a little more fitted than I usually like in work out gear. The fabric is soft, breathable, and has a built-in bra (score!). However, I do feel a little self-conscious in it and would probably always wear something over it. 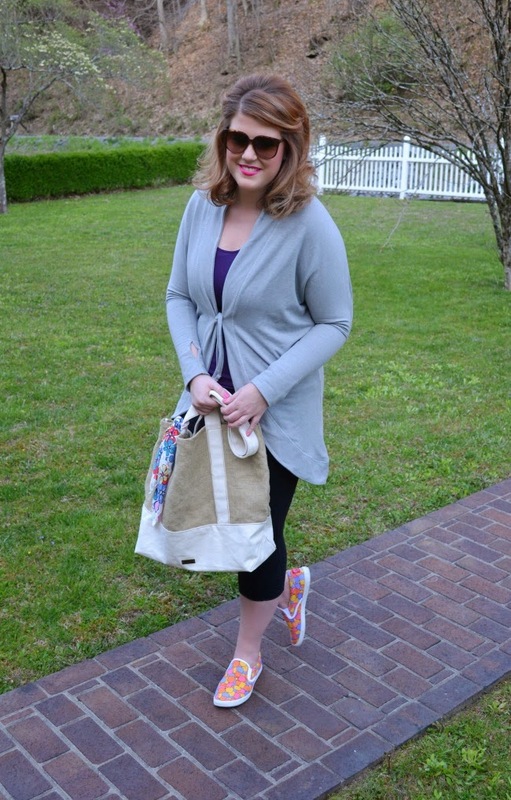 I think it's a great piece, though, for layering and heading out to run errands. I'm a huge fan of the Zumba apparel bottoms - I raved about the ones from my first package here. When I first saw the cargo pockets I was a little apprehensive. Once I put them on, though, I loved the extra flair the pockets gave to otherwise plain, black leggings. While the cut of the waistband isn't as flattering as these, they still accentuate your shape and flatter your curves. You can move easily in them and the fabric smooths and supports - big plus! I love this cardigan. It's perfect to slip on over a tank or t-shirt while running errands or walking from the car to the gym. The strings in the front give you versatility to tie it (like I did over the tank) or leave it open and loose. This is one of those pieces that I was so surprised to find in my package but can't get enough! Because of my day job I have to be very aware of the photos I share. So, even though the bra isn't seen, I wanted to give you the run down. I struggled at first figuring out how it went on (it looked like just strips of fabric when I pulled it out of the box!). I immediately doubted that it would give any support but was pleasantly surprised once I got it on. 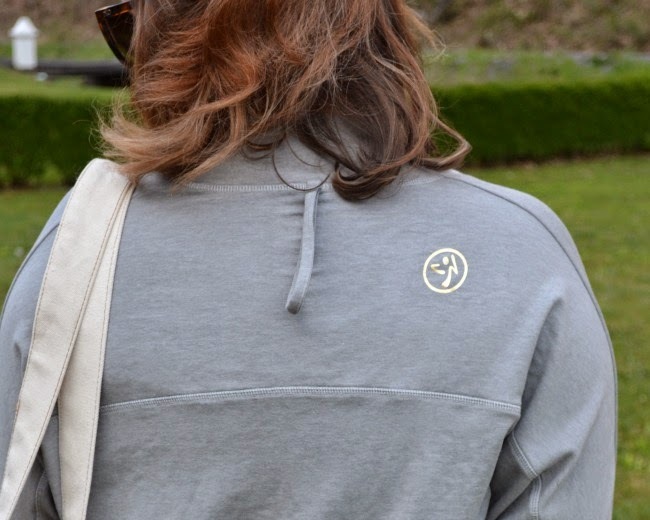 I love that it's reversible and if I'm ever feeling brave enough, it would pair perfectly with my zip up hoodie! Gah I LOVE zumba!! I miss it! Awesome! I zumba 3-5 times a week and absolutely love it. 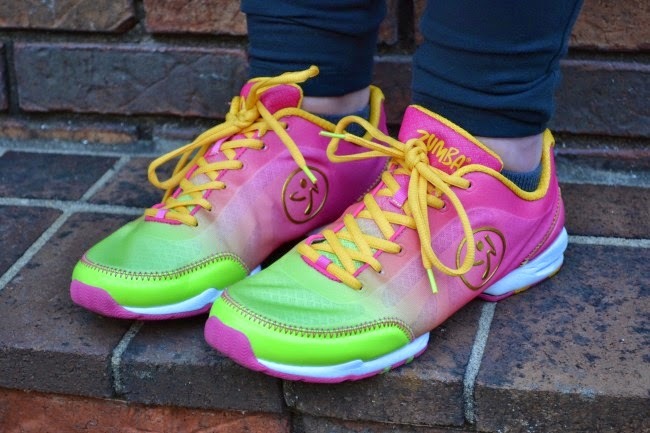 Just bought some new dance shoes, but I'm curious about the Zumba brand shoes!